The attractive Series 500 home school diploma cover is constructed of a stiffer cardboard frame and covered in a sealed Castillian vinyl. This diploma/certificate cover opens with the spine on top. 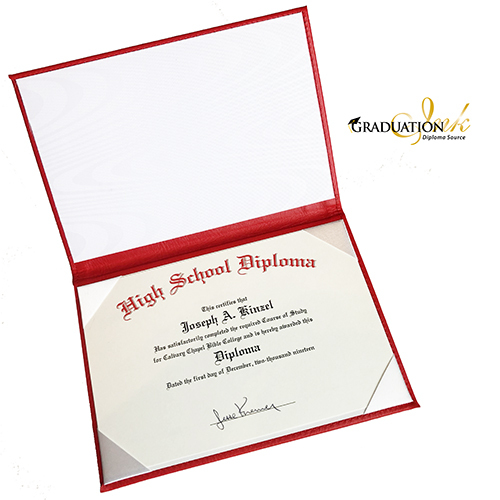 The lower half of the interior has a clear anti-stick pocket to secure the standard 5 1/2" x 8 1/2" Series 500 diploma sheet. When closed, this home school diploma cover will measure approximately 5 3/4" x 8 3/4". The diploma cover is available in five colors - blue, red, black, two-toned red cover with black interior, and green. This home school diploma cover can include lettered foiling on the front. Lettering can be a maximum of two lines. 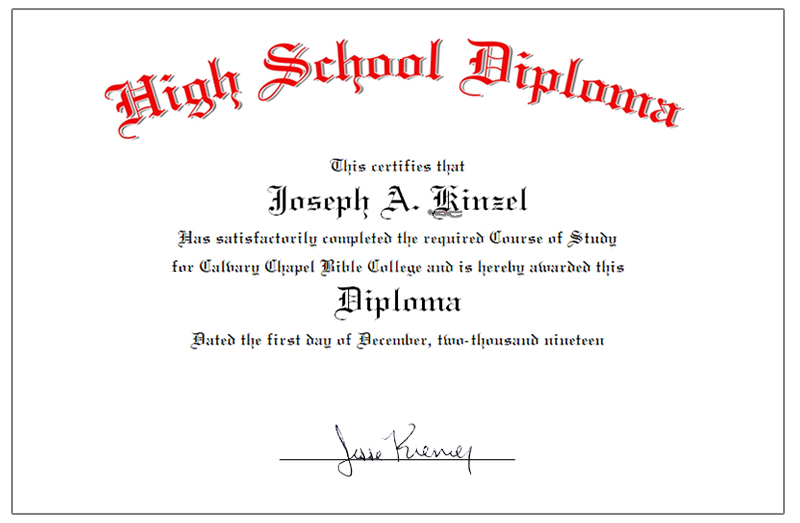 The standard home school diploma sheet (pictured above) is personalized with the student's name, date of graduation, and school name or course name. 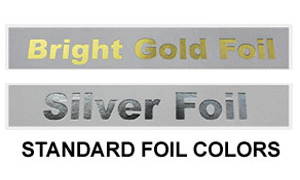 The diploma sheet is a standard template design to save on costs. If you are interested in a custom design for your student, there will be an additional $25.00 design fee. Please contact us with your design specifications. Every home school diploma ships free.